The Pricketts Fort Memorial Foundation is an independent, non-profit historical organization dedicated to preserving and chronicling the history of Pricketts Fort. Through shared vision and common effort, Foundation members and the Board of Directors sustain history by providing for educational programs and cultural events that document our rich, local heritage. The historical and educational programs presented at Pricketts Fort are planned, conducted and funded by the Foundation. 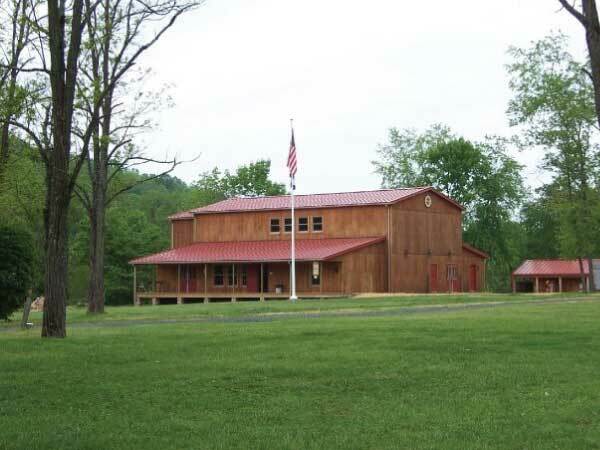 In addition we manage the Visitor Center, historical interpretation program, and all special events under a long-term contract with the state of West Virginia. The Foundation is governed by an elected board of directors of eighteen people, and is a membership-based organization that invites individuals and families to join us through membership. We also encourage participation in our Pricketts Fort Pride volunteer program. For more information on the variety of fun opportunities for those who would like to “live” their love for history, please visit the Become a Member page. The purpose of the Foundation is to commemorate the people and events of the Pricketts Fort community during the first century of the American experience. The Foundation seeks to foster an appreciation of the past in anyone, from the curious to the scholar. This will be accomplished through the preservation of buildings and artifacts, educational programming and living history interpretation, and entertainment and recreational opportunities.